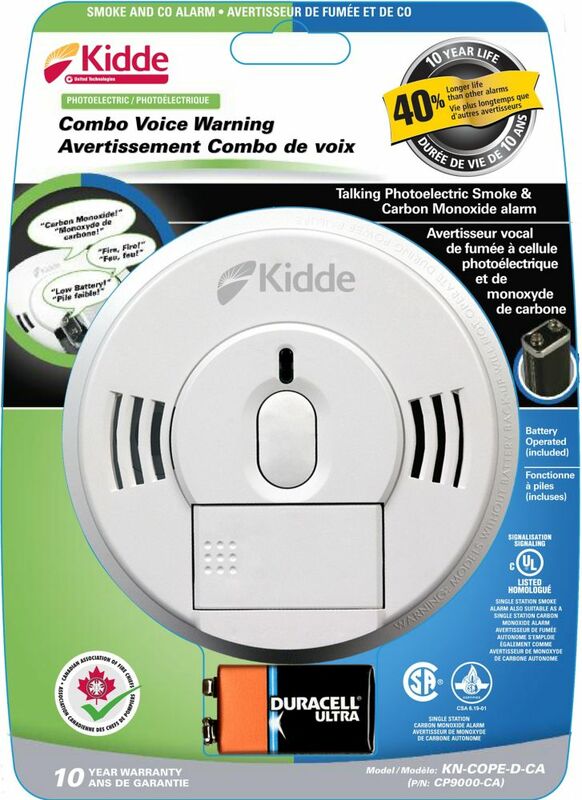 Kidde Wireless Smoke Alarm enables families to quickly install an interconnected smoke alarm system throughout their home without the mess of rewiring or costly labour. Battery Operated Combination Smoke and CO Alarm with Front Load Battery and Voice Warning is rated 5.0 out of 5 by 5. Does this model have a &quot;hush&quot; button? Hello JO5and7. Yes, if the alarm is going off for a small amount of smoke, pressing the test button wil put the alarm into HUSH mode and make it less sensitive to smoke for about 8 minutes. This alarm has a mounting bracket included with screws and anchors. What type of battery is required for this item? This alarm uses a 9V Alkaline battery (included). We recommend replacing yearly with a Duracell or Energizer brand only. This alarm is battery only.